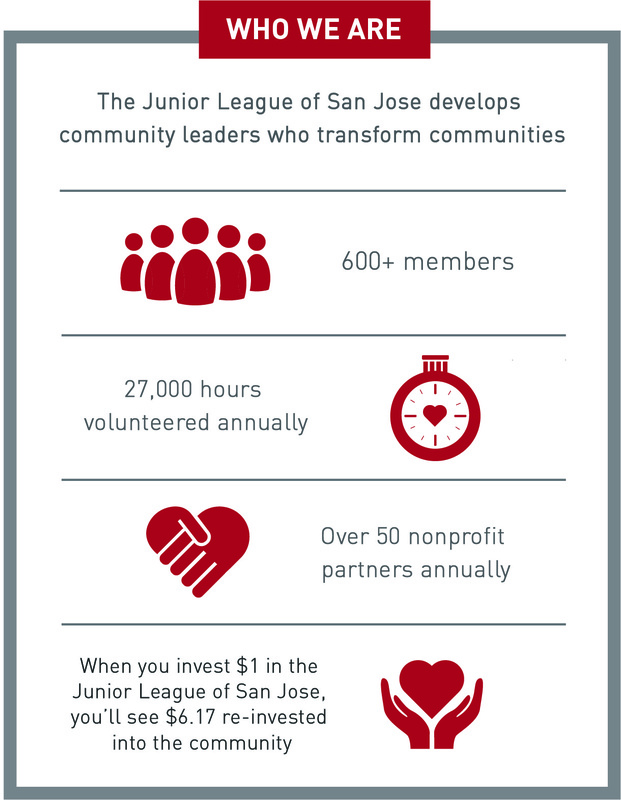 Junior League of San Jose (JLSJ) has developed an Issue-Based Community Impact (IBCI) model to create a community program that will have deep, impactful change within Santa Clara County. In 2016, JLSJ voted overwhelmingly to direct its efforts and commitment toward a new focus area: helping foster youth successfully transition out of foster care. We partner with established organizations or entities who serve transitional age foster youth (TAY) in our community. We are proud to seek areas that may benefit from grant funds, needs-based drives, and trained volunteers. JLSJ invites community based nonprofit organizations based in Santa Clara County to submit proposals related to or providing services for TAY. We seek opportunities for community impact partnerships within five strategic areas: advocacy/public awareness, direct service, capacity building, strategic grant making and collaboration/coalition building. JLSJ reserves the right to pursue any and/or all ideas generated by this request. We look forward to reviewing your proposal! To fill out the online application, click here! To download a copy of the application, click here!